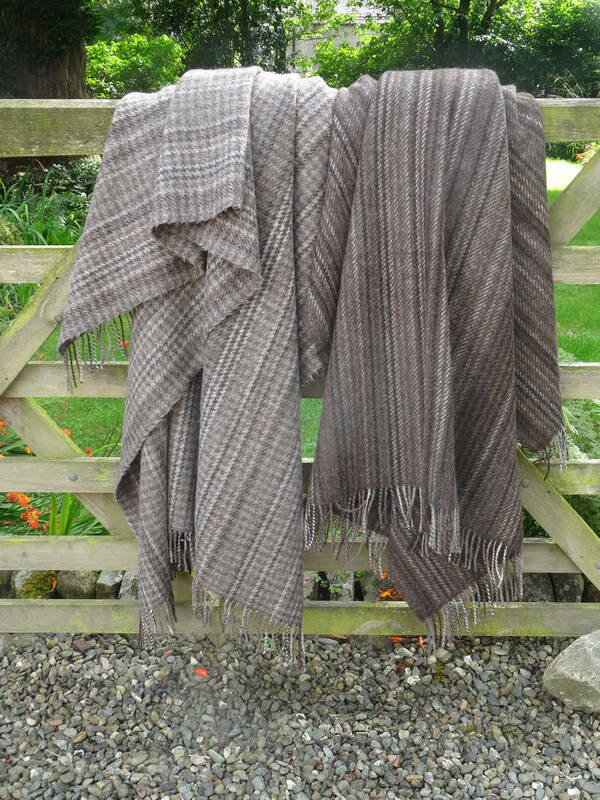 This limited edition of beautifully soft, naturally coloured wool blankets were woven on heritage looms in Cumbria using a mix of naturally coloured British wools. 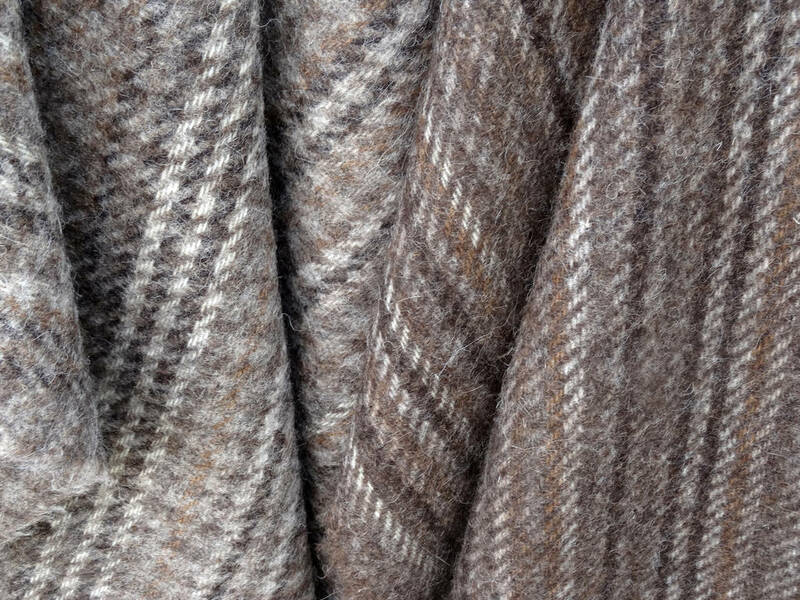 These distinctive wool blankets are named for the British hill and mountain wools used to weave them, including Lleyn, Black Welsh Mountain, Castlemilk Moorit, Shetland Moorit, Hebridean, Manx Loaghtan, and Shetland silver grey, some of which are listed as rare by the Rare Breeds Survival Trust. 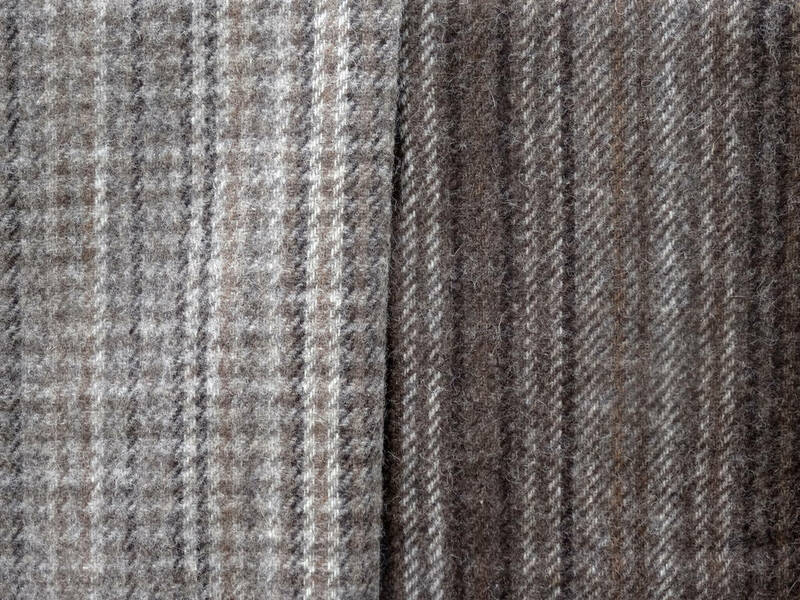 - Scree – a subtle houndstooth check which resembles the jumbled scree on a mountain slope. 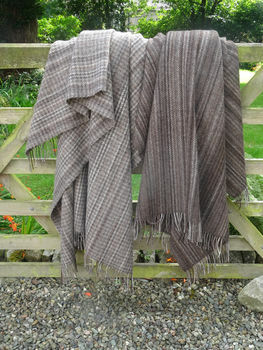 Both are beautifully soft to the touch, with a short twisted fringe to finish them off. 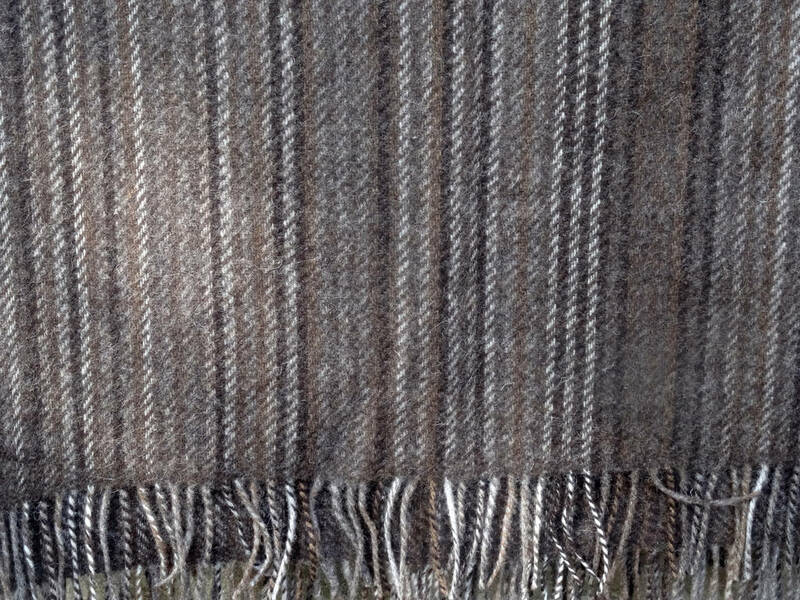 I had the great pleasure to be very hands-on in the making of these special blankets at Farfield Mill in Sedbergh on the western edge of the Yorkshire Dales National Park. 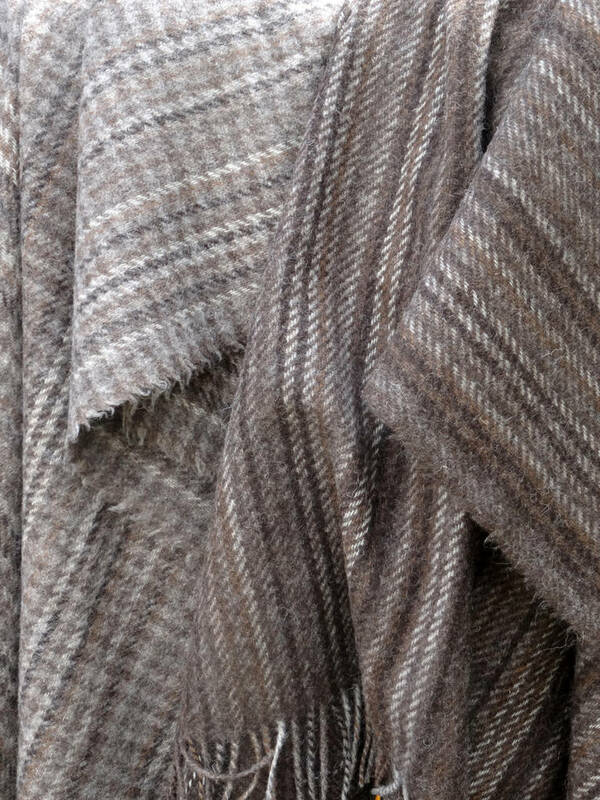 100% British wool grown, spun and woven in the British Isles. 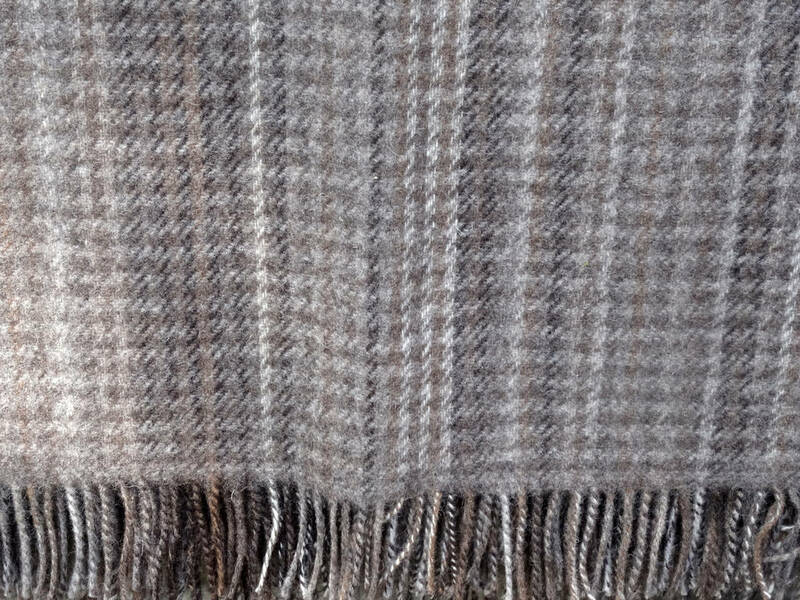 Care: Cool handwash or very gentle machine wash (wool cycle), or dry clean. Properly cared for this blanket will last a long time.